“Making a commitment to each other through marriage means you combine your gifts and together, you make a greater difference in the world than you would as individuals. Just as spices complete a recipe, you complete each other. 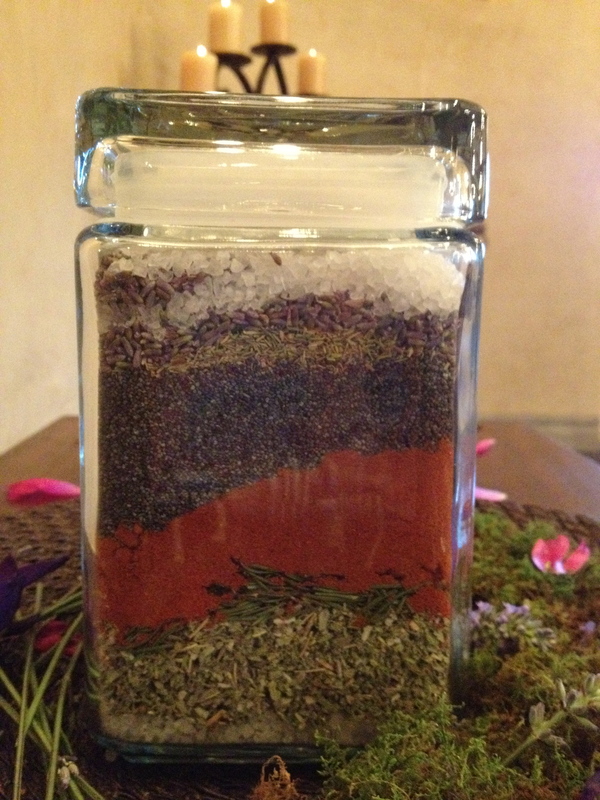 You have chosen a few spices to layer in this glass vessel one at a time, signifying your own personalities and talents. In this way, you symbolically combine who you are forever. This salt symbolizes love – God’s love for you – and your love for each other. This love will be the foundation upon which you build your life together. In the Bible, covenants of salt were made to insure lasting and permanent pacts, as salt symbolized the eternal nature of the covenant. Your marriage is such a covenant, perpetual and everlasting. Thyme ~ for courage and strength. During their ceremony and in the preparation for it, this Bride and Groom had a super fun time participating in this spicy unity ritual together. The Groom collected the rosemary himself, from their yard. The Bride and I shopped together for the bulk herbs/spices and had so much fun! The Bride and her now Mother-in-law shopped for the glass vessels. While I set up the ritual prior to the ceremony, the guitarist even enjoyed smelling the lavender. I carried the finished product over to the reception (displayed next to the sign-in book created by Sarah Neyhart) so guests could enjoy the couple’s creation up-close. All in all, we immensely enjoyed co-creating this custom ritual! 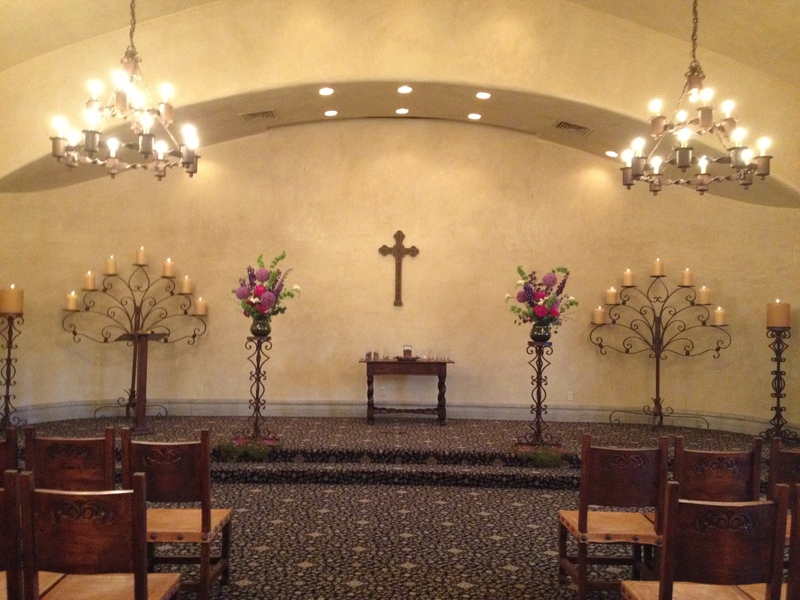 Inside the Chapel at Tubac Golf Resort & Spa ~ ritual table front & center. 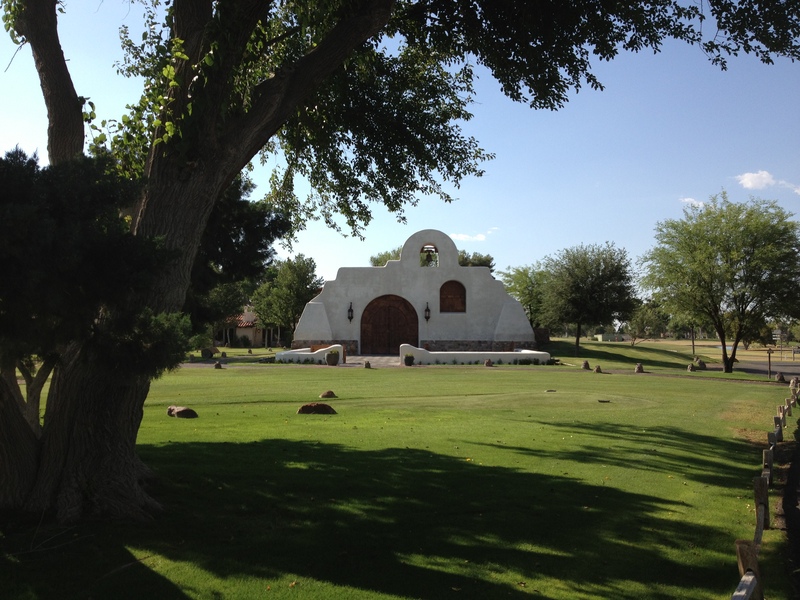 A peek of the TGR Chapel from the outside ~ so beautiful!